The Central Coast region is one of our favorite places to travel – for many reasons, actually, but high on the list is enjoying California’s culinary delights courtesy of the land, the sea and the grapevines. While there certainly doesn’t need to be a festival on the agenda to have a fun and tasty Central Coast vacation or weekend getaway, planning your visit around one can provide an efficient way to sample the wares of several different restaurants (sometimes) and/or local wineries. Many of these events take place in the summer, of course, when fruits and vegetables are at their peak, and most people will agree that there’s really no bad time to enjoy a wine (or beer!) festival. Santa Barbara celebrates food, wine and good times on various dates throughout the entire month of October! Beer, Wine and Santa Maria-Style Barbeque! 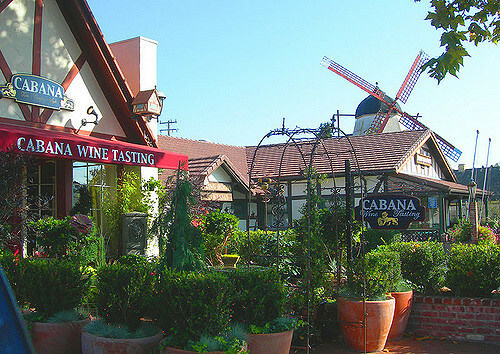 Photo of Downtown Solvang by Meg Lessard via flickr (Creative Commons); Photo of Chef David Meyers (of LA’s Comme Ça) at Pebble Beach Food & Wine by The Cosmopolitan of Las Vegas via flickr (Creative Commons); Photo of Wine and Waves Festival by Randy Aquilizon via flickr (Creative Commons); Photo of Santa Barbara French Festival by DieselDemon via flickr (Creative Commons); Photo of Tillamook VW Van at Sunset Magazine Savor the Coast Festival by Joe Bierman via flickr (Creative Commons); and Photo of Dinner at the Cracked Crab in Pismo Beach by emdot via flickr (Creative Commons).